Recently there have been a rise in the number of anonymous social sharing apps. One of the first places we saw this institutionalized was not digital, in the form of PostSecret, the mail-in project that allowed people to confess their true thoughts to a large audience. 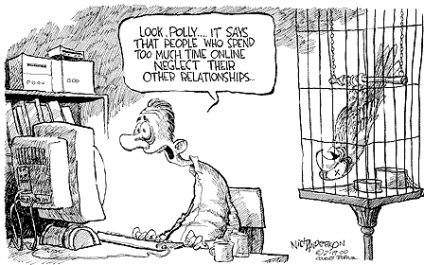 Internet: communicate or isolate? Maybe it’s a little of both. There seems to exist a difference in consensus about whether the Internet is bringing people together or driving them into an unnatural (for humans) isolation, especially in the United States. A Pew Research Internet Project article cites a study in which "They depicted the rise of internet and mobile phones as one of the major trends that pulls people away from traditional social settings, neighborhoods, voluntary associations, and public spaces that have been associated with large and diverse core networks. Update from the DNI news desk: we had our first customer appreciation event of 2014 last night. We had a great turnout! 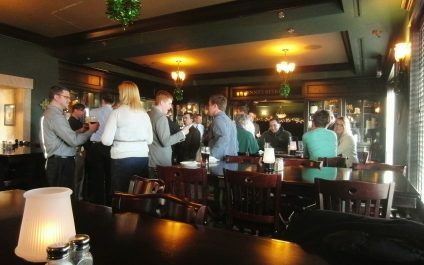 I want to thank everyone, customers and staff, who joined us last evening at Erin's Snug Pub for a cocktail hour.